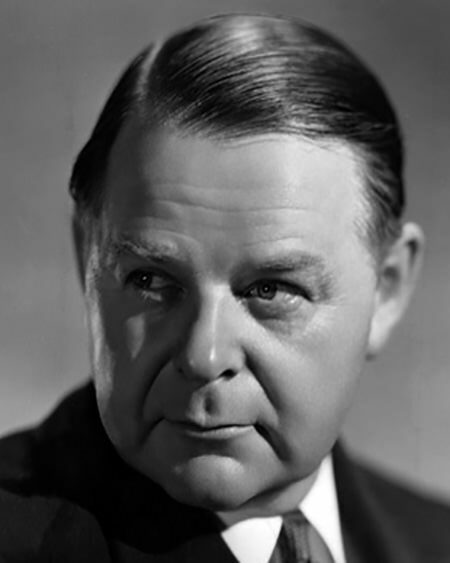 "Guest Star Radio: The Judge"
Eugene Lockhart was born in London, Ontario, Canada, on July 18, 1891. The performing bug bit early, at the age of six little Gene made his debut with the Canadian Kilties Band, and was doing sketches with Beatrice Lillie before she moved to England. Gene attended several schools in Canada and eventually travelled to England himself to attend the London Oratory School. Gene made his Broadway debut in 1916 in The Riviera Girl, having taught acting and stage technique at the Juilliard School of Music. He wrote the book and lyrics for The Pierrot Players and was a member of the traveling cast. The play introduced the song “The World Is Waiting for the Sunrise”, which was later recorded by Les Paul and Mary Ford. In 1924, English actress Kathleen Arthur immigrated to New York and Joined Lockhart’s acting company and soon became his wife. The couple’s only child, June Lockhart, was born in the summer of 1925. In 1930, the Lockhart’s began recording the syndicated serial, Abroad with the Lockharts. The premise of the show was a typical American husband and wife taking a European vacation. Keep in mind that this was before travel to Europe was a matter of getting on a jet and travelling from one packaged attraction to the next, Gene and Kathleen managed to present the whole adventure with the announcer being the only voice beside their own. The show is considered an important time capsule of American values, as well as conceptions and misconceptions of life on the Continent. Lockhart is best known for his movie work. He was nominated for Best Supporting Actor for Algiers (1938) with Charles Boyer. During the early part of his career, Gene was usually cast as the villain. An exception was when the whole Lockhart family appeared in MGM’s 1938 version of A Christmas Carol. The film was planned to be a vehicle for Lionel Barrymore, who was a perennial favorite for playing Scrooge every year on Radio, but he was forced to drop out due to poor health. Gene took the role of Bob Cratchit, Kathleen played Mrs. Cratchit, and little June was Belinda Cratchit in her cinema debut. In 1945, the Lockharts were together again on the radio, bringing the comic strip The Nebbs to the air. The Nebbs was a family situation comedy built around the adventures and misadventures of Rudy and Fanny Nebb, and included typical situations like swapping jobs with the wife, trying to fix the radio to hear the World Series, donating books to the local library and dealing with Trick or Treaters at Halloween. In 1947, Gene played a supporting role in Miracle on 34th Street as the judge who must rule on the sanity of a man who claims to be the one and only Santa Claus. Gene Lockhart died on March 31, 1957, of a coronary thrombosis, he was 65. Kathleen Lockhart retired from acting after Gene’s death, and would pass away at the age of 83 on February 18, 1978. June Lockhart is best known for playing TV mothers, notably on Lassie and Lost In Space. Now in her 1990’s, June is still active in show business, her latest project was filming live action portions of the Tesla Effect computer game. Gene and Kathleen’s granddaughter, Anne Lockhart, played Lt Sheba in the original Battlestar Galactica series. Two Stars on the Hollywood Walk of Fame have been dedicated honoring Gene Lockhart, one at 6307 Hollywood Blvd for his work in Motion Pictures, and at 6681 for Television. Kathleen Lockhart’s Star for Motion Pictures is at 6241 Hollywood Blvd. June Lockhart has a Star at 6323 Hollywood Blvd for Motion Pictures and across the street at 6392 Hollywood Blvd for TV. Be the first to comment on "Gene Lockhart"